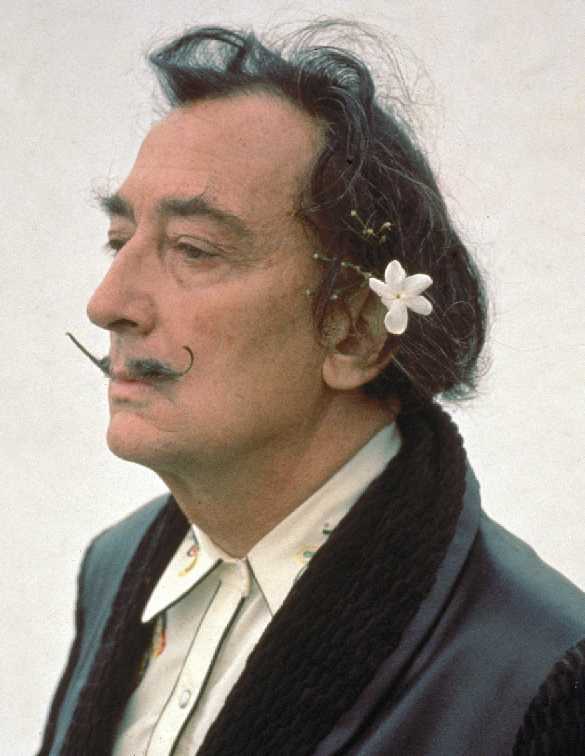 During the late 1940’s Salvador Dali and the American photographer Philippe Halsman collaborated to create the photographic work entitled “Dali Atomicus”. The work explores the concept of suspension and “a moment in time” and includes three flying cats, a bucket of water and the illusion of the artist and the artist’s equipment suspended in mid-air. The scene relies on wires suspending the easel etc and apparently it took twenty eight attempts to achieve the required result. The photo was originally published in LIFE magazine and is a gelatin silver print produced via a 4 x 5 format, twin-lens reflex camera.